-hemi-hexa-: Hemi = through the centre of model. Hexa = faces parallel to a cube, but only half as many (3) because they're hemi. 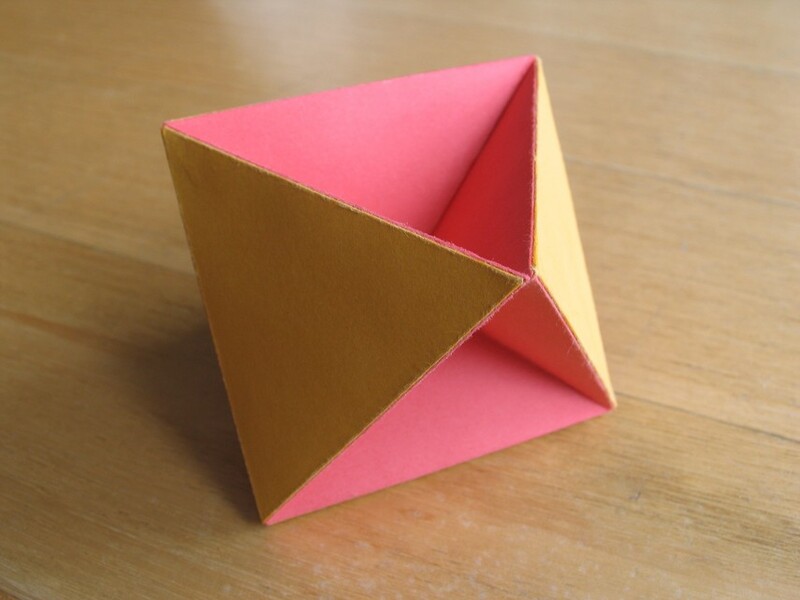 Other than some prisms, this is the only uniform polyhedron with an odd number of faces. It has seven: 4 triangles (yellow) and 3 squares (red). The squares intersect each other, bisecting each other along their diagonals. Every part of each square is visible, from one side or the other. It is a faceted octahedron (that is it shares the same vertex positions). Here's a compound of 5 tetrahemihexahedra.